I am going to slightly open different University options in Helsinki and especially write about Haaga-Helia, which is my weapon of choice. In 2013 in a middle summer I started exploring different options where to go and what to do in the future. I was 24-years old and I realized I would like to study ICT. Journey to that part were long and bumpy but very instructive. Soon I noticed that there is going to be one more hard decision to make. In which University I would like to study? First of all there is University of Helsinki. It is the University where Linus Torvalds studied. Then there are Universities of applied sciences: Haaga-Helia, Laurea and Metropolia. In all those four schools have ICT courses. When I went through the options I found that Haaga-Helia is the only University which main focus is to serve companies demand. It is not just nice promise it really appears in course selection. For me the most interesting courses are the ones relating to programming, software development, Linux and business. There are lot of them. Has been a year since I started my studies and it still feels like Haaga-Helia is what I was looking for. The exam day was full of electric. 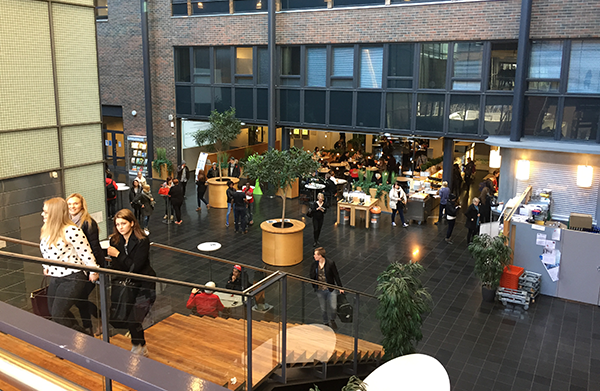 There is massive lobby at Pasila`s campus which was flooding curious IT minded people. I was really impressed about the fancy building and the people. At the very first moment when I felt the atmosphere in Haaga-Helia I noticed that this is the place where I would rather be. There was no advance material for the exam. First part was mostly basic reasoning and pseudo style programming. Second part was related to bitcoins. We had to read an article written by Petteri Järvinen and had about 30 minutes time for reading it. I was very excited about what I was reading. After that we had to bring back the article and got paper with questions related to it. The good news arrived and I got in. ICT studies starts twice in a year. I started in January. First week was dedicated to get to gether things. First day was just basic lessons in auditorium. Something very positive was that tutors acted in big role in those days. It seems natural to get tips from other students who had been there for a while and already completed some studies. In those first days it came very clear that Haaga-Helia has very lively student union called Helga. They organize lots of events and it feels like there is something going on every week. In the campus they have nice lounge in the basement. It is comfortable place to socialize, eat snack, hang out or just take a nap between courses. I am studying Business Information Technology. I think it is very practical programme. Courses are chosen in the name of what every ICT guys should know plus courses which support that knowledge. For example in first period we had these two courses Workstations and Networks and Business Operations and Environment. First course were pure ICT and our teacher Juhani Merilinna turned out to be true professional when it comes to Linux and Windows. We learnt basics about how to configure workstations and how to build a network. The second course Business Operations and Environment was more like an introduction to the business world. Purpose was to show frames in which we are going to work in. To be honest so far there has not been any courses where I have not been able to find its purpose. Before every period students has to enroll to courses. It is totally up to you what would you like to study and when. Of course there is some limits but not so much. 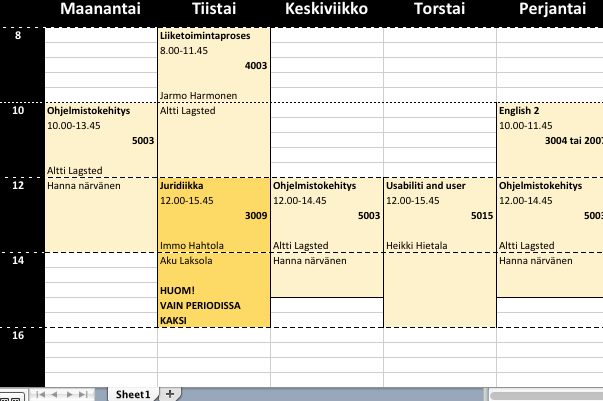 There is planned schedule, which shows optimal order. Some courses have dependencies, which courses have to be completed before enroll. But basically enrolling to courses is very flexible. I have already completed many courses, which are scheduled to complete in sixth or seventh period, and I am currently on third period. For example I did Linux as server course in first period and it had Workstations and Networks course as dependency. I asked from the teacher if I can try to complete it even I had not complete dependencies yet and it was all right. When the course ended I got excellent grades. Here is my timetable at the moment. It is quite nice. Not so long days and only one early wake up. Of course this is just one of timetables(changes 4 times a year) but they have all been very similar. Of course we have tasks to complete outside the classes. But still it is not too much what we have to do. I think I have made the best possible choice when I decided to go to Haaga-Helia. I have not been anywhere else but I have no bad things to tell about Haaga-Helia so I cannot imagine what could be better in other Universities. If I had to choose again I would still go to Haaga-Helia. I love the atmosphere and the way how teacher organize their courses. In fact I`ve heard from teachers that they like to be there as well. If everything goes well on courses they have power to do what they feel is the best. 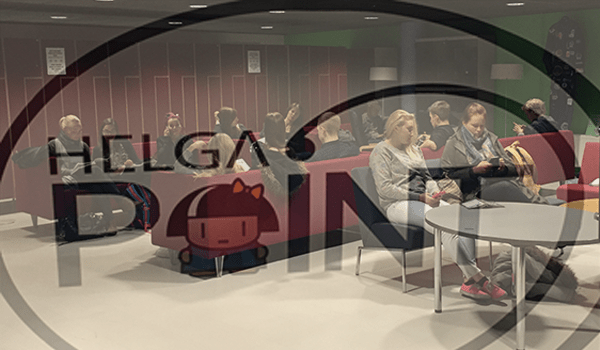 This post is made in cooperation with Haaga-Helia University of Applied Sciences.